Its summer time, the temperature is roaring to 40 degrees, resulting in increased demand for air conditioners and inflated electricity bills. In this scorching heat, even the robust air systems tend to fail if not cared properly. No doubt heating, ventilation, and air conditioning systems are perfect to beat up the heat, yet their maintenance is necessary to keep them going in long-run. Paying attention to HVAC systems will lower your power bills; avoid regular breakdowns and additional costs that may arise in future. Here are some professional tips that will help you in maintaining your expensive HVAC systems and keep your homes cool in horrid summers. Have a look at them. According to various consumer surveys, installing and upgrading a programmable thermostat is the easiest way to lower down the electrical costs and making heating, ventilation systems work efficiently. Thermostats are designed to factor local weather conditions and adjust the temperatures accordingly. You can also make use of motion sensors to adjust the AC runtime precisely. Opening doors and registers allow the fresh air to travel across all the living spaces. A balanced air system is one that allows the positive air to flow in one direction and the negative pressure in another direction. HVAC systems are designed in such a manner that they permit air to circulate freely without any blockages like closed doors or windows. Changing air filters regularly increases the safety of your HVAC systems and saves you money. These filters are designed to trap dust, dirt and air contaminants, ensuring a smooth flow of air through these systems. Not changing air filters may get them clogged, resulting in slow cooling of your homes and causing the air conditioning systems to run longer and harder than normal. These extra load strains may cause the heating, ventilation and air conditioning systems to malfunction or breakdown permanently. 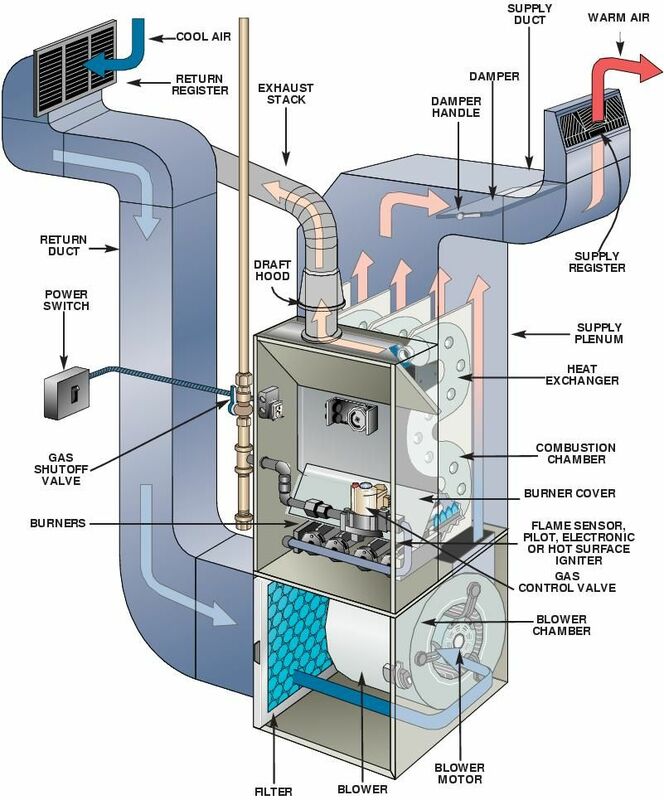 HVAC systems equipped with air dampers are designed to control the flow of air in specific rooms. As registers are visible through grills on the floors or ceilings, air dampers are hidden inside the HVAC ductwork. Look for handles or knobs on the exterior of the duct and discover the closed ones. The rotation of the valves allows you to open, close or adjust the dampers to some degree, allowing the air to flow freely. A complete check of the HVAC systems. Notice the abnormalities in air pressure and movement. Normally, these operations cannot be performed by a layman and hence require services of a professional. Therefore, regular maintenance by professionals is mandatory to ensure smooth working of heating, ventilation and air conditioning systems.